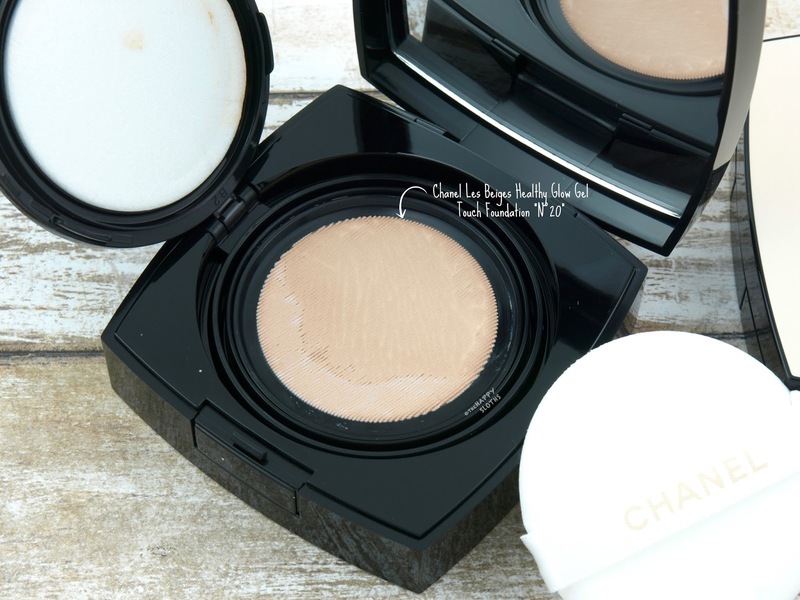 Housed in a gorgeous black and beige compact, the Chanel Les Beiges Healthy Glow Gel Touch Foundation is a semi-sheer, SPF 25 (titanium dioxide-based) foundation available in ten different shades. Similar to a cushion foundation, the Healthy Glow Gel Touch is contained in a mesh-covered reservoir that releases the perfect amount of product when pressed with the included foam sponge applicator. 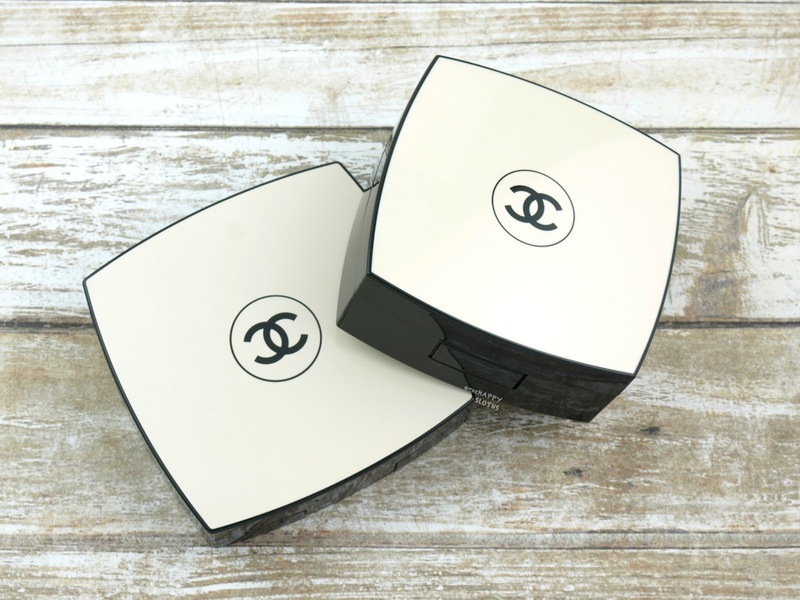 However, the compact only holds 11g of product, which is very little, even compared to cushion foundations which usually hold 15g. 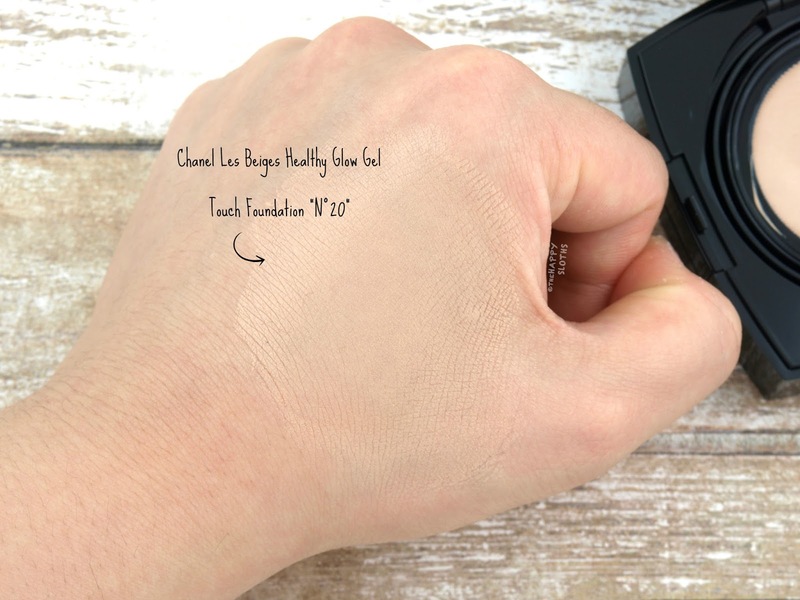 Chanel Les Beiges Healthy Glow Gel Touch Foundation in "N°20"
Made with 56% water, the Healthy Glow Gel Touch Foundation is also infused with kalanchoe extracts and hyaluronic acid derivatives. The formulation has a beautiful peachy fragrance and it feels super refreshing and lightweight on the skin. 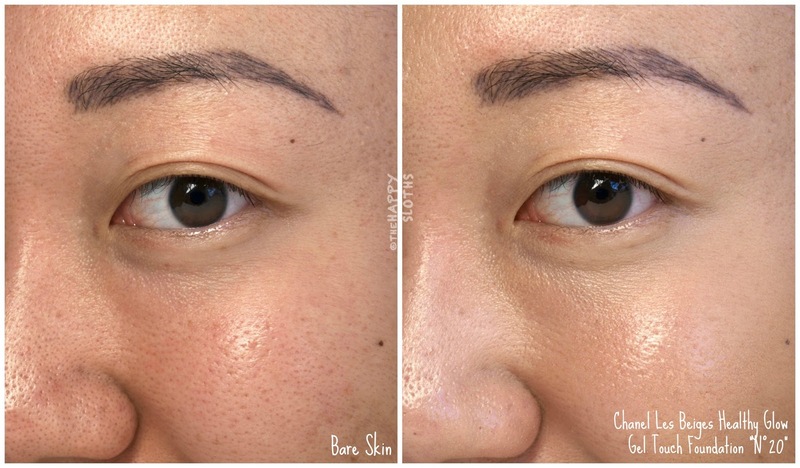 The coverage is buildable but it's medium at best while the finish is glowy and dewy. 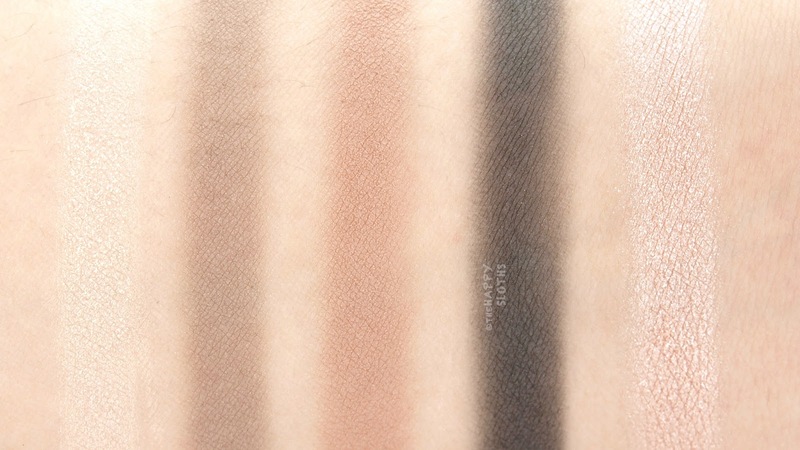 The shade "N°20" is a light ivory and it's pretty much a perfect match for my NC20 skin. As someone with oily skin, it's hard to find a suitable foundation, especially in the summer months when sebum-production is at an all time high. Unfortunately, the Gel Touch Foundation didn't work very well with my skin. I noticed some subtle settling right after application and as time elapsed, my pores became increasingly accentuated as the pigments slid around and deposited themselves into my pores and around any textural imperfections. My complexion looked super healthy and glowy initially but within a couple of hours, I was noticing quite a bit of shine. There was also heavy creasing around my nose and smile lines so all in all, I wouldn't recommend this foundation for anyone with combination or oily skin. With that said, the glowy, hydrating formulation will probably be great for dry skin so I would recommend checking this out in stores if oily skin is not a concern of yours. 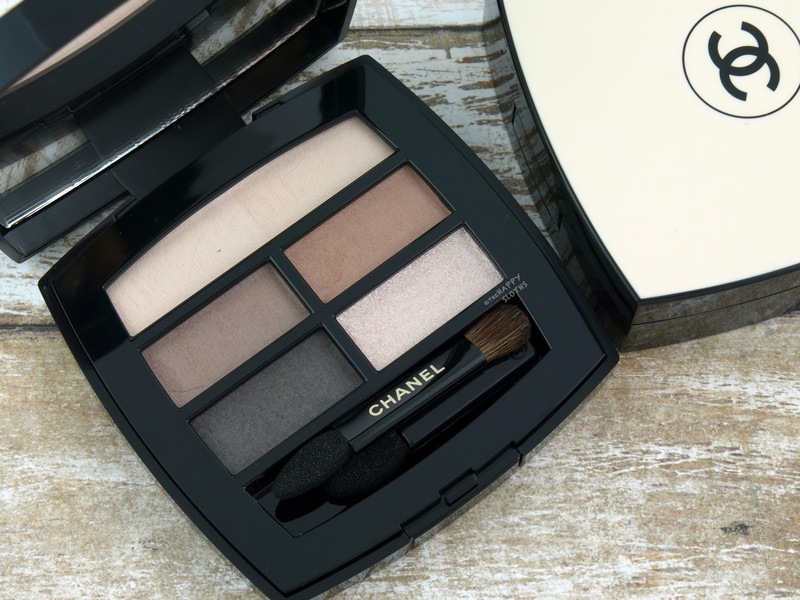 Housed in a similar beige and black compact, this is a five-shade eyeshadow palette with four mattes and one satin shimmer. You get a neutral ivory cream, a light taupe, a warm taupe-brown, a soft carbon gray, and a light shimmery pink with subtle pearly sparkles. Formulation-wise, the palette is very lovely. With the exception of the dark gray, which is a tad patchy, all the shadows are silky, finely-milled, and nicely pigmented. This may not be the kind of palette that's going to make you ooh and aah in person but the colors are easy-to-use and pair nicely with each other. Below is a natural look I created using all five shades. 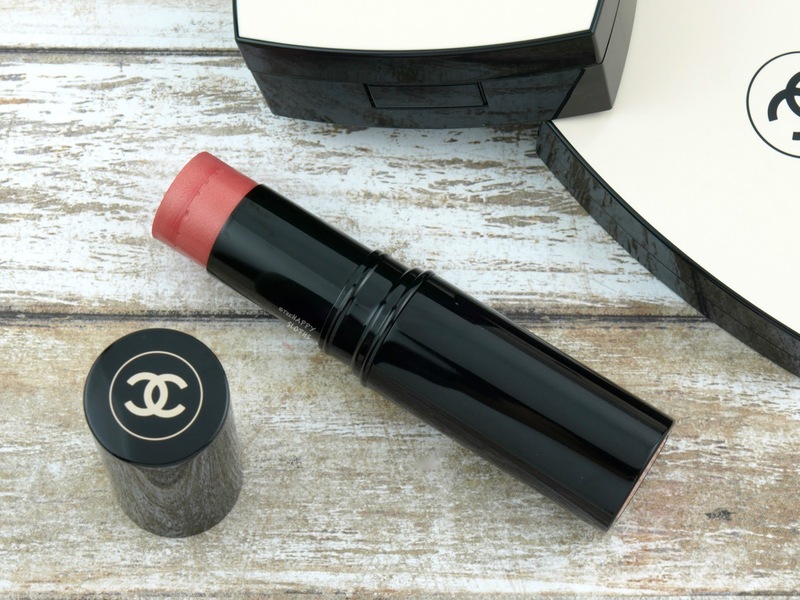 Chanel Les Beiges Healthy Glow Sheer Color Stick in "N°23"
This is a lightweight cream blush packaged in a twist-up and retractable shiny black tube. Available in two shades, the formulation is iridescent and semi-sheer. I have here the shade "N°23" and it is a glowy coral pink sprinkled with a subtle dash of fine golden shimmers. 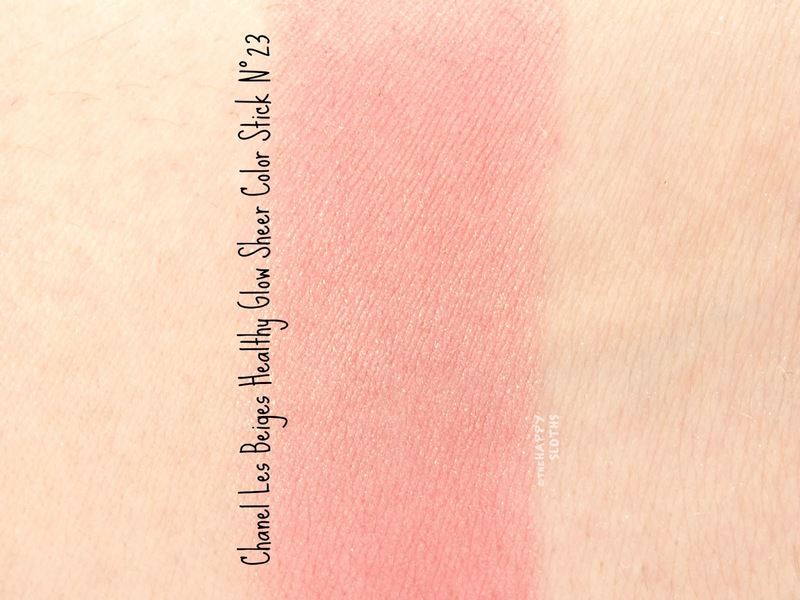 The color blends very nicely and gives the cheeks a glowy summery flush. 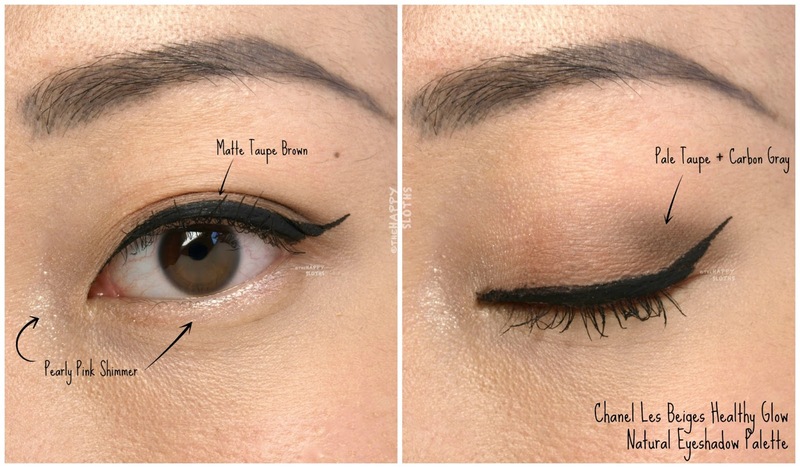 The formulation is not very smudge-proof but I like the non-sticky and light wear. 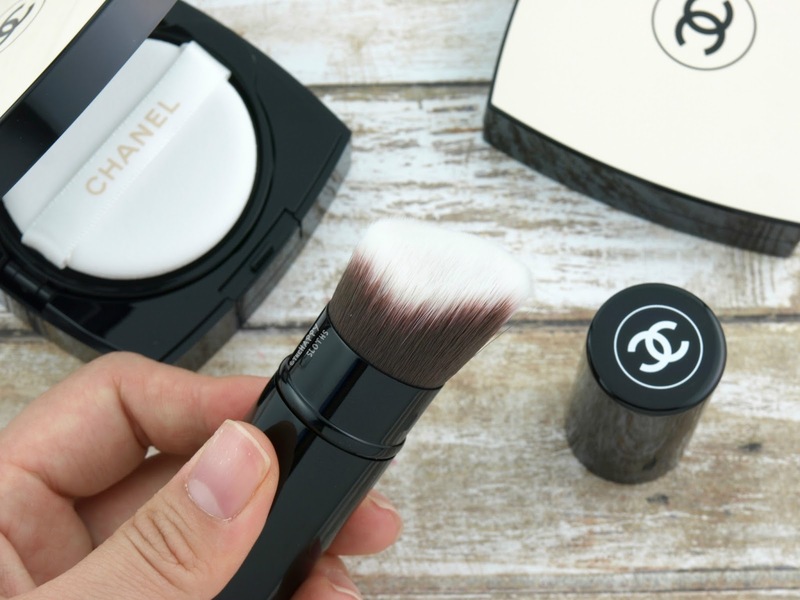 As part of the Les Beiges de Chanel collection, Chanel has released a new foundation brush that's made for application and touch-ups on the go. With a unique angular shape that's perfect for reaching every corner of the face, the Retractable Foundation Brush is densely packed but very soft. 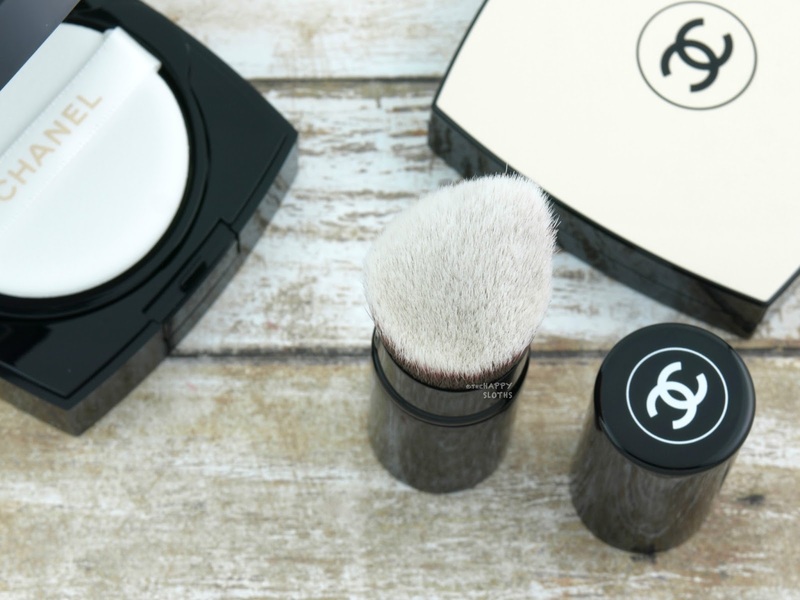 Chanel doesn't indicate the type of fiber used but from what I can see, the bristles are synthetic. Additionally, the brush comes with an extendable guard that helps retract and protect the bristles so you can easily tote this around in your purse. Finally, the brush is compatible with any fluid, gel, or cream foundation, including the Les Beiges Healthy Glow Gel Touch Foundation. 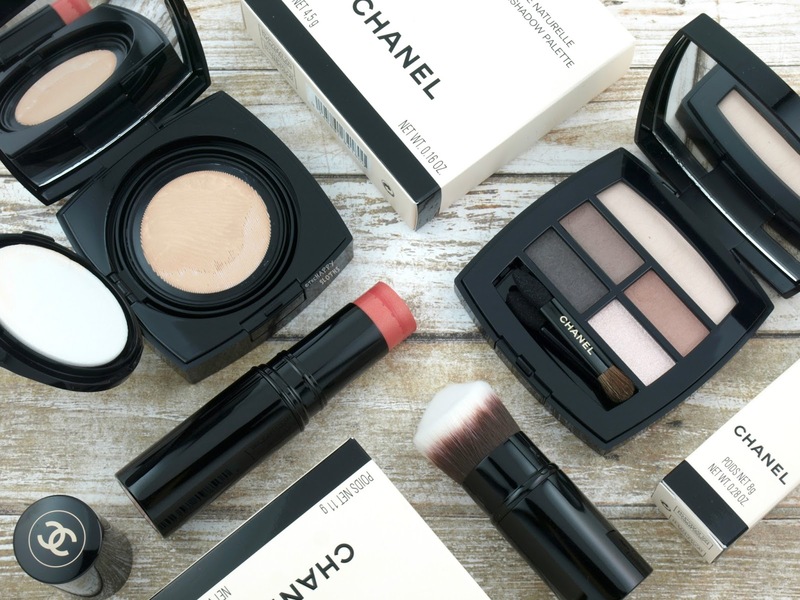 The Chanel Les Beiges de Chanel Collection is available starting July 10th, 2017 at all Chanel Beauty counters.